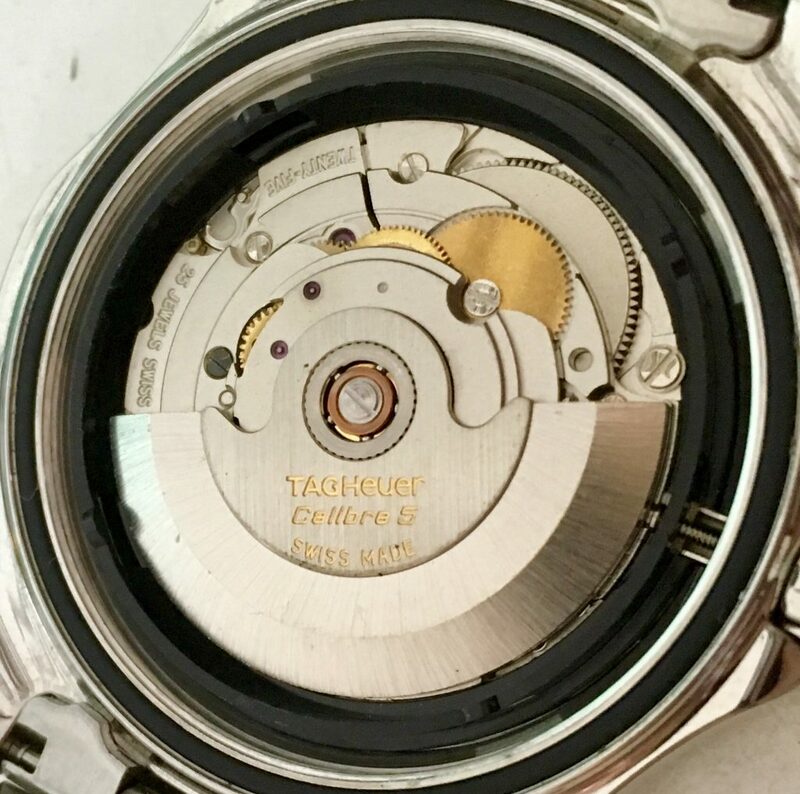 The TAG Heuer Calibre 5 used in this “Aquaracer” is actually a common ETA 2824-2 Swiss movement (a very quality robust movement). 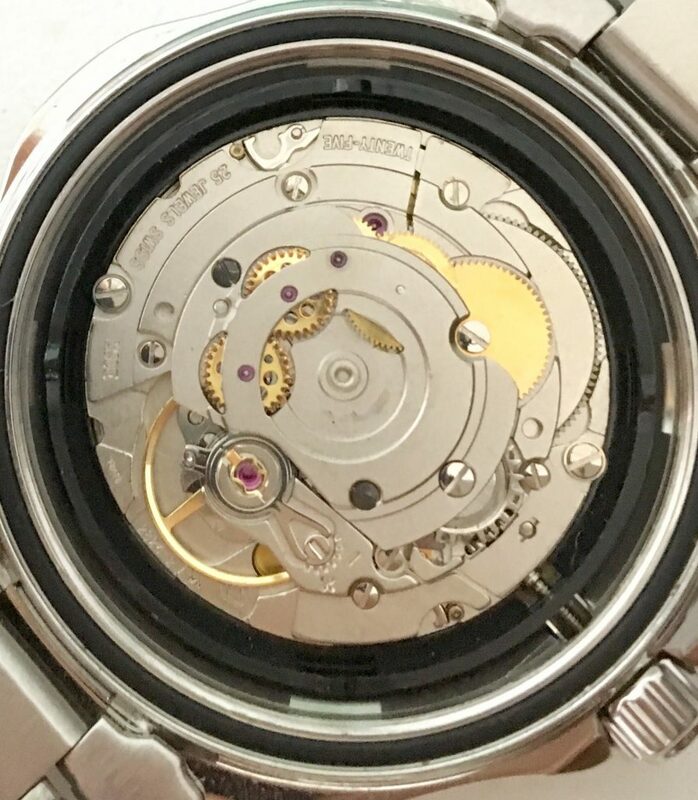 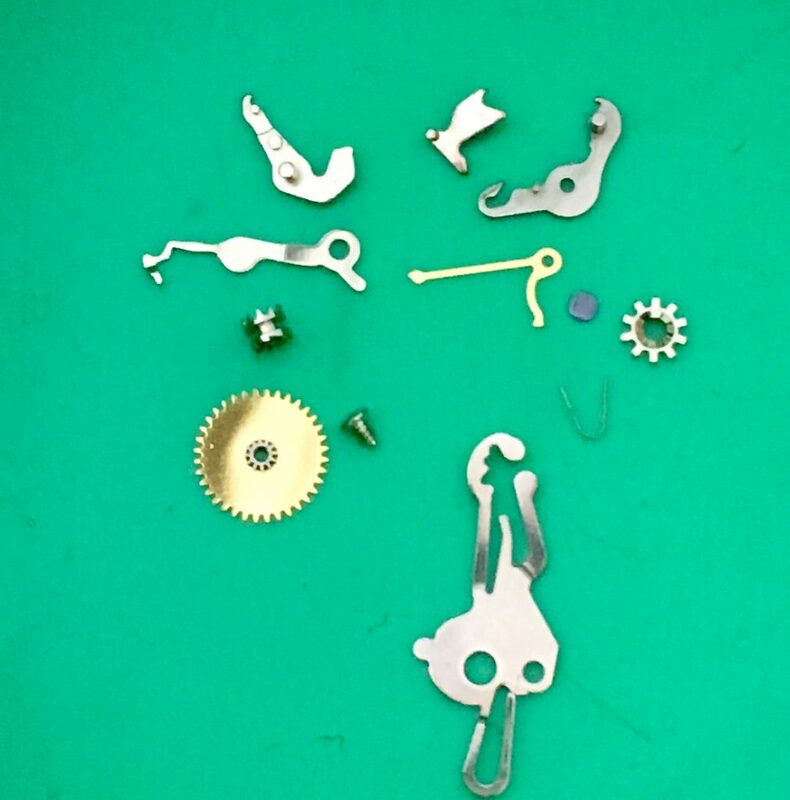 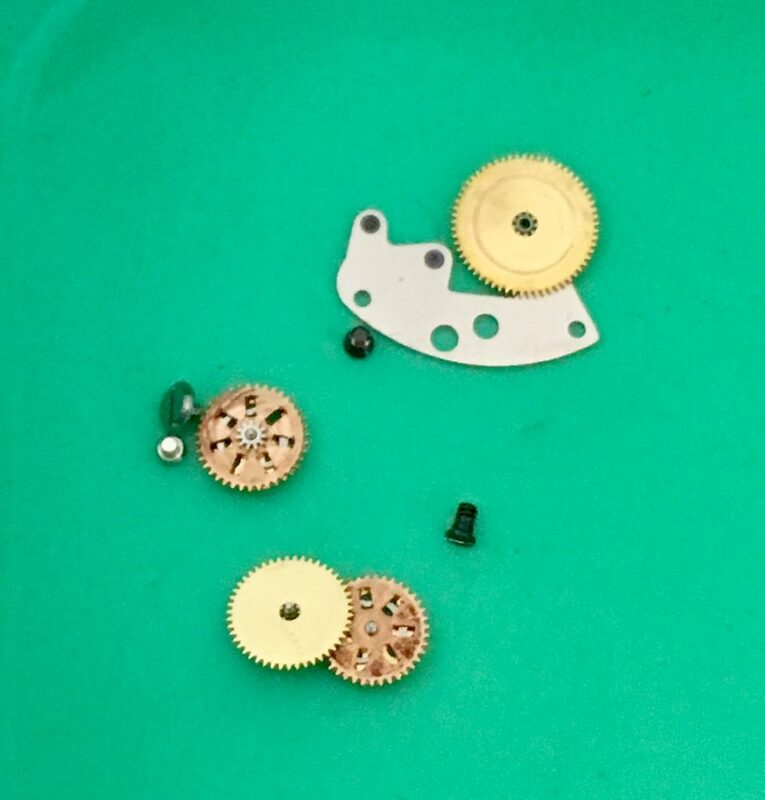 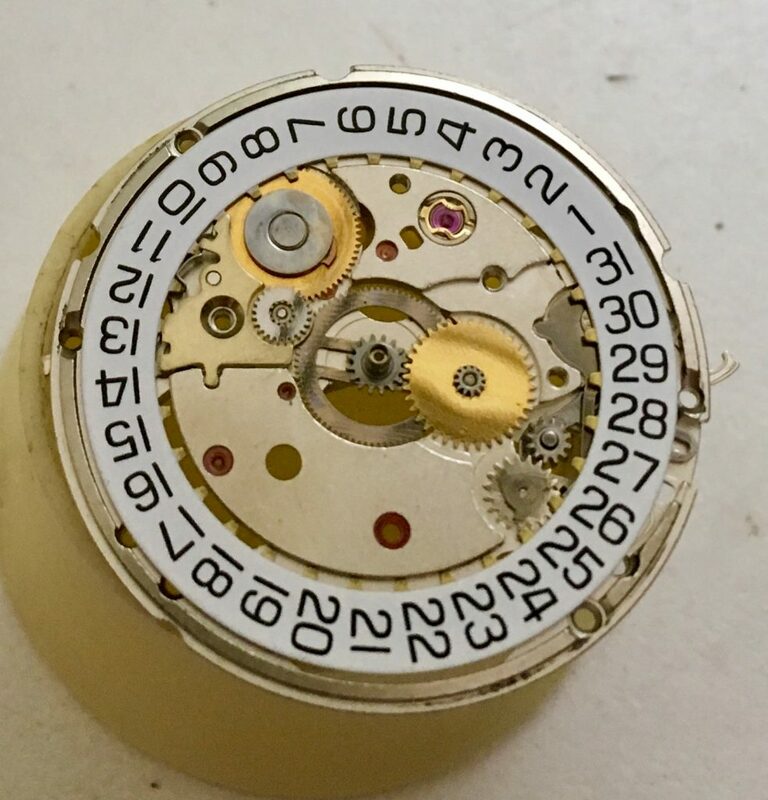 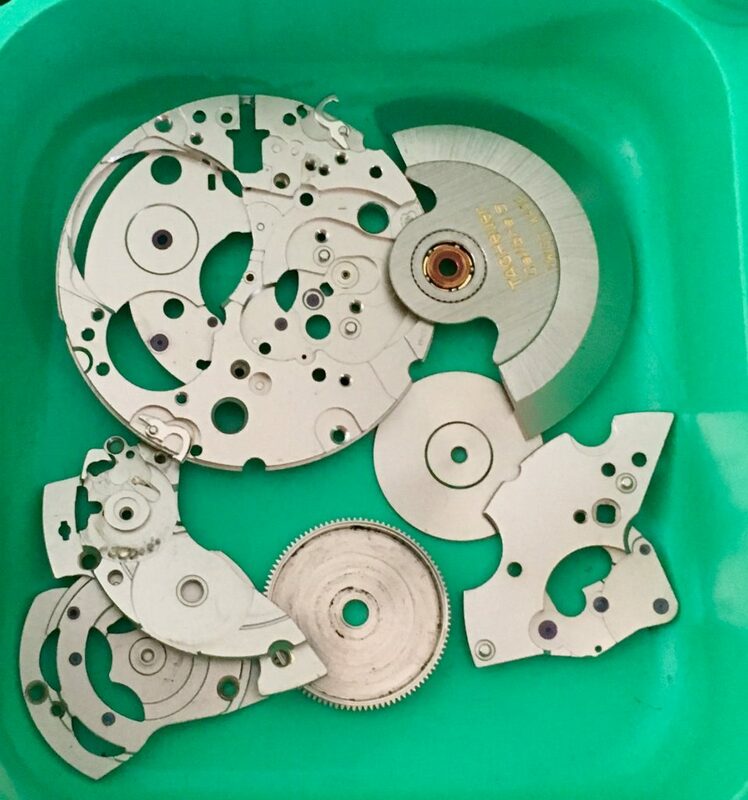 After disassembly, note that the oil has hardened on the pivot jewels in the automatic unit. 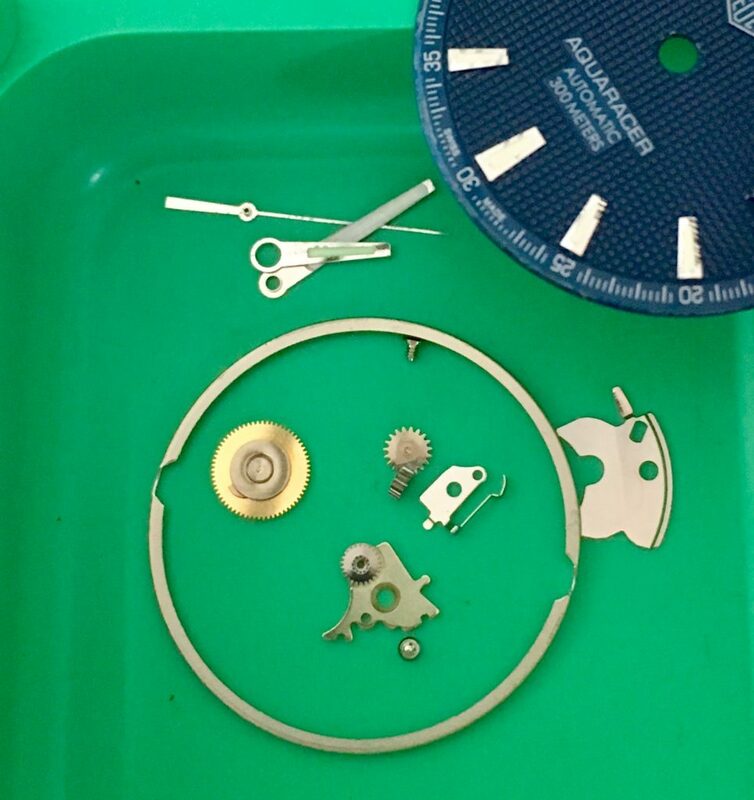 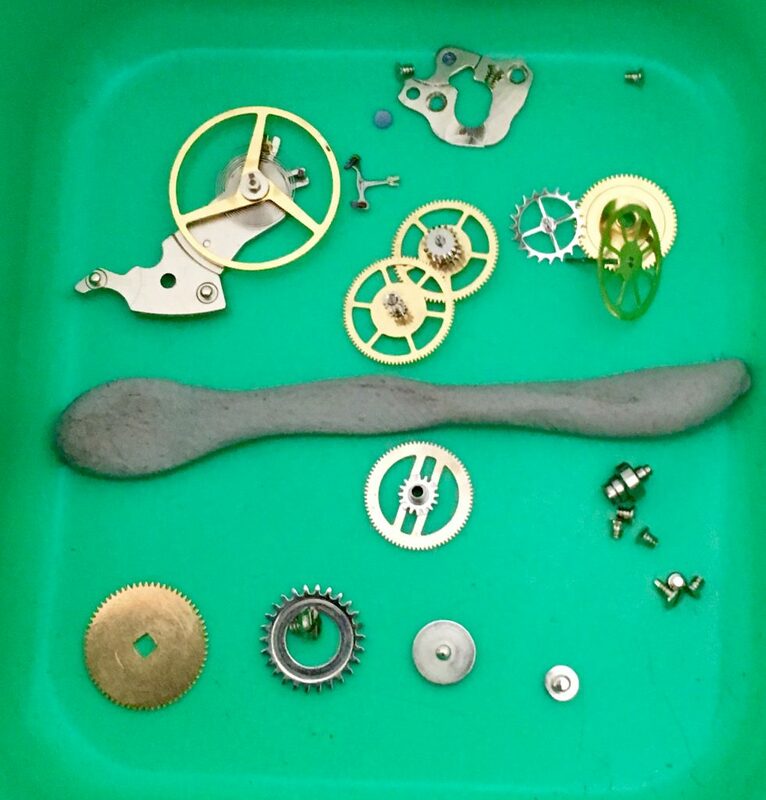 All parts are cleaned and inspected. 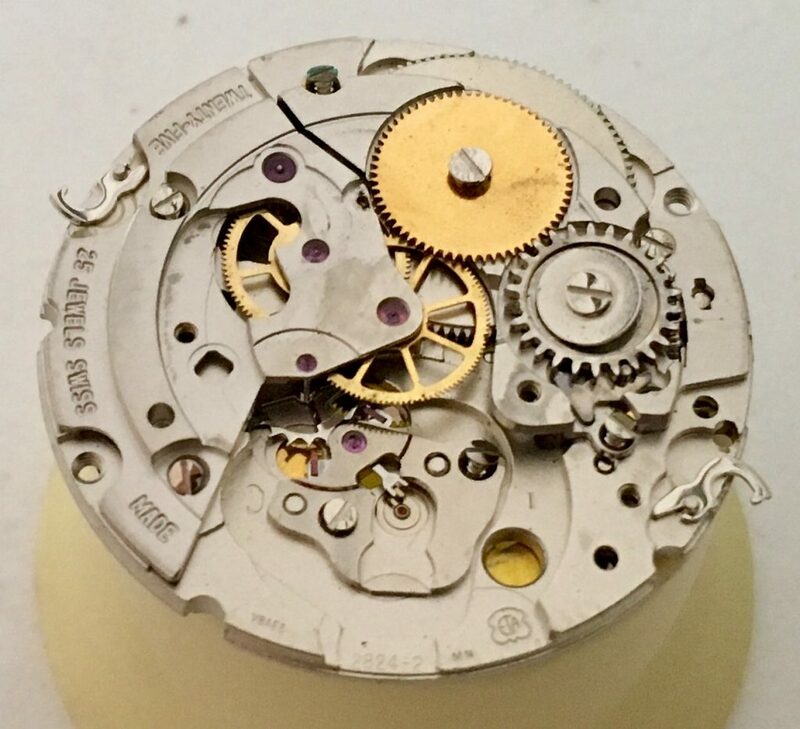 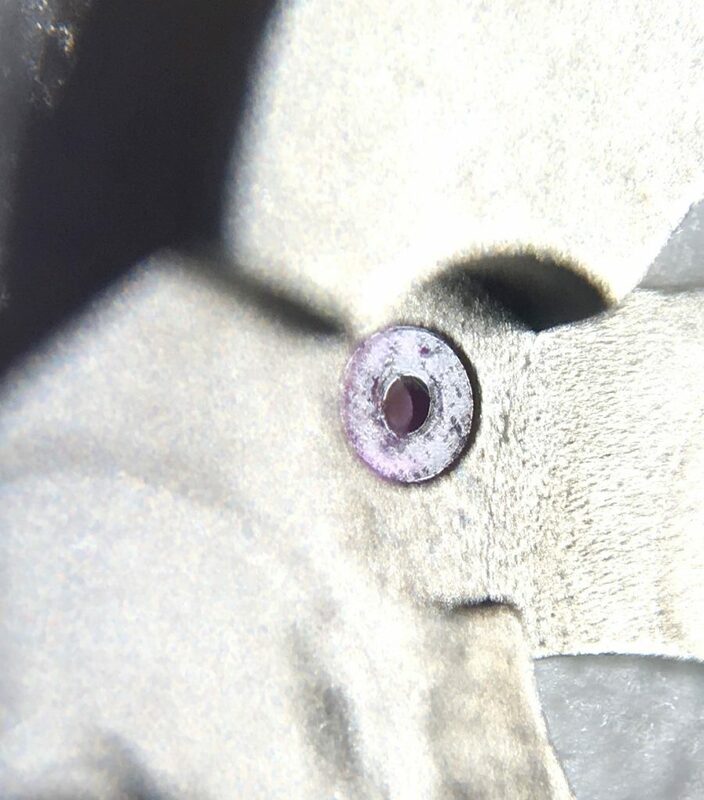 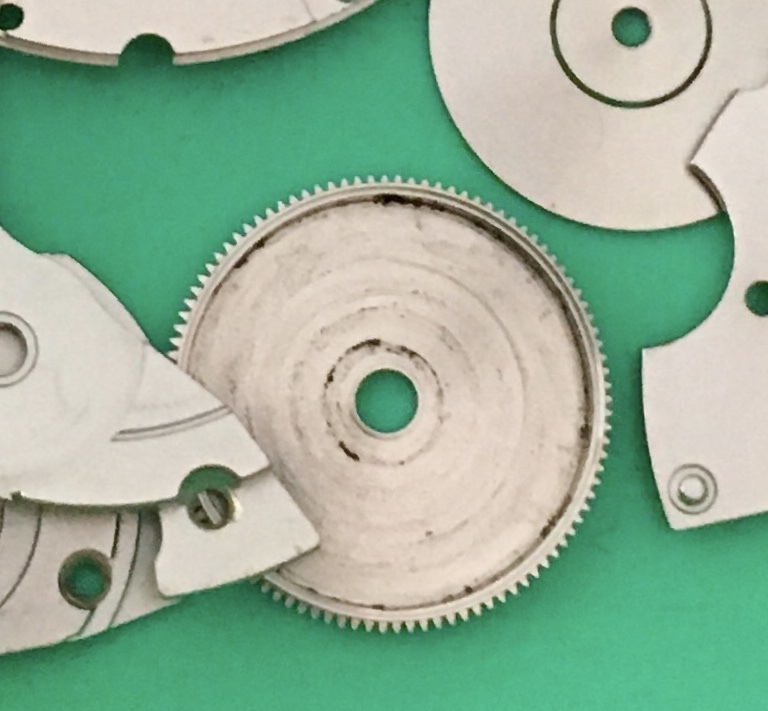 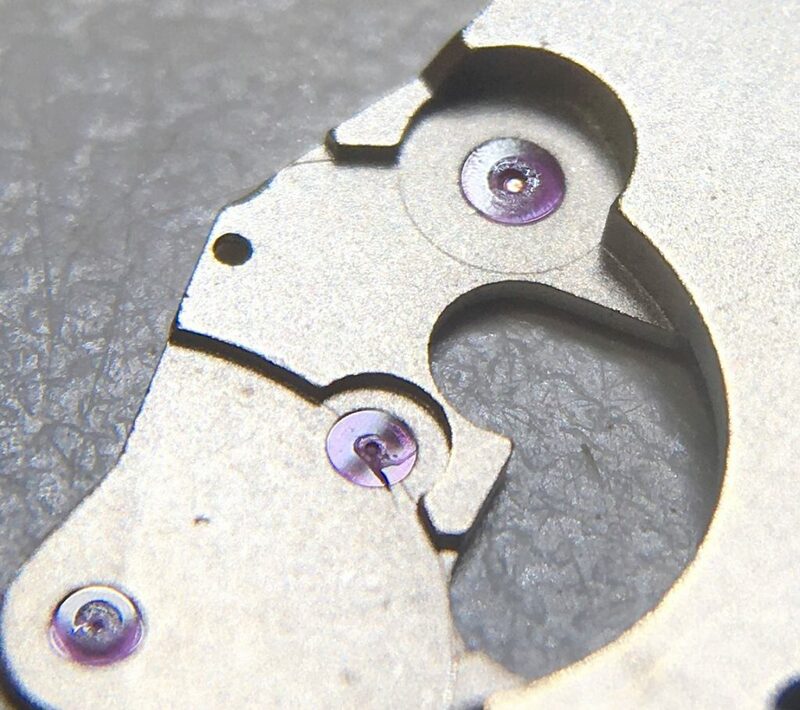 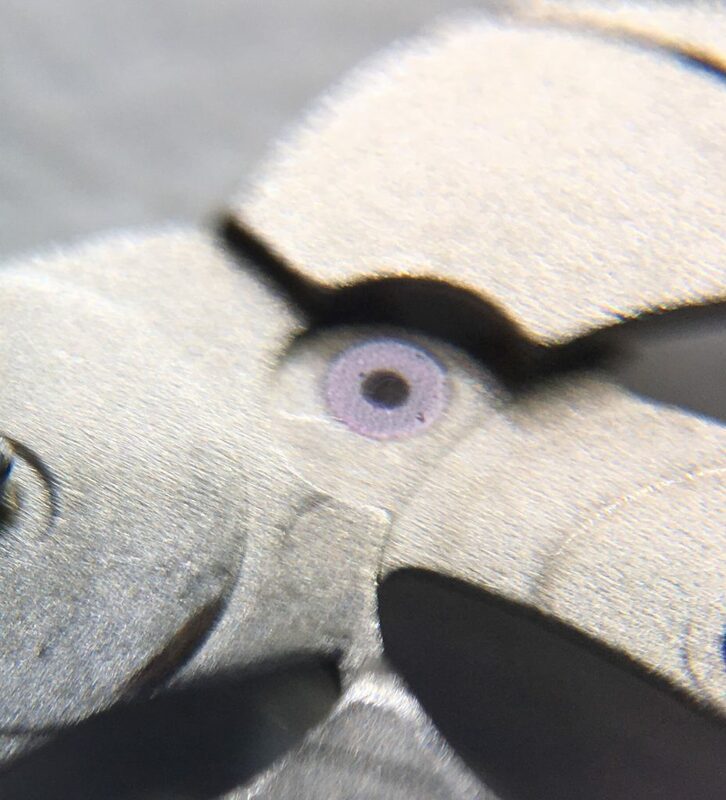 Even after running all the parts through the cleaner, some stubborn oil and grease has to be hand polished off of locations such as jewels and inside the mainspring barrel.